* This article is intended for general interest. It should not be used for legal advice on your particular matter. If you have questions about your case, call our office to speak with an attorney. This article is intended for general information. It does not contain legal advice for your specific case. If you have questions regarding your matter, please call our office. This article is valid as of 5/22/17. 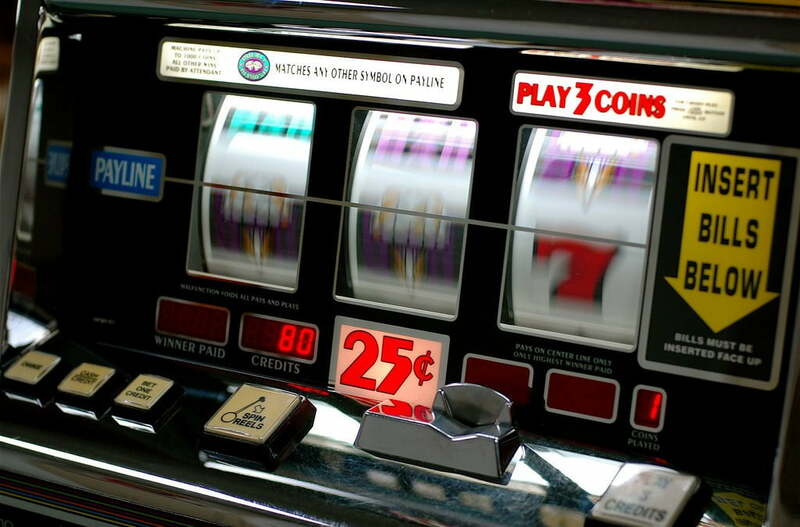 Nevada created a program to assist problem gamblers charged with some types of gambling-related crimes. This program is administered by a qualified mental health care professional and can be very beneficial to some people. If you are eligible and accepted into a program, upon successful completion, the criminal charges against you will be dismissed. (c) Provide for progress reports at intervals set by the court to ensure that the person is making satisfactory progress toward completion of the program. (c) Appropriate referral to community, health, substance abuse, religious and social service agencies for additional resources and related services, as needed. Before the court assigns a person to a program for the treatment of problem gambling, the person must agree to pay the cost of the program to which he or she is assigned, to the extent of the financial resources of the person. If the person does not have the financial resources to pay all the related costs, the court shall, to the extent practicable, arrange for the person to be assigned to a program that receives a sufficient amount of federal or state funding to offset the remainder of the costs. 5. The problem gambler has previously been assigned by a court to a program for the treatment of problem gambling, except that the problem gambler is eligible to make the election if the court, in its discretion, finds that the problem gambler is eligible to make such an election. If the court has reason to believe that (1) a person who has been convicted of a crime is a problem gambler; and (2) that person committed the crime in furtherance or as a result of problem gambling; and (3) that the person is eligible to make the election as provided in NRS 458A.210, the court shall hold a hearing before it sentences the person to determine whether or not the person committed the crime in furtherance or as a result of problem gambling and whether or not the person should receive treatment under the supervision of a qualified mental health professional. The district attorney may present the court with any evidence concerning whether the person committed the crime in furtherance or as a result of problem gambling and the advisability of permitting the person to make the election. At the hearing, the court will advise the person that sentencing will be postponed if the person elects to submit to treatment and is accepted into a program for the treatment of problem gambling. In offering the election, the court shall advise the person that the court may impose any conditions upon the election of treatment that could be imposed as conditions of probation and that if the person elects to submit to treatment and is accepted, the person may be placed under the supervision of the qualified mental health professional for a period of not less than 1 year and not more than 3 years, that he must agree to pay restitution as a condition upon the election of treatment. That treatment may be inpatient or outpatient. If the court determines a person is eligible after the hearing and he is entitled to accept the treatment offered pursuant to NRS 458A.210, the court shall order a qualified mental health professional to conduct an examination of the person to determine whether the person is a problem gambler, whether the person committed the crime in furtherance or as a result of problem gambling and whether the person is likely to be rehabilitated through treatment. The qualified mental health professional shall report to the court the results of the examination and recommend whether the person should be placed under supervision for treatment. If the court, acting on the report or other relevant information, determines that the person is not a problem gambler, did not commit the crime in furtherance or as a result of problem gambling, is not likely to be rehabilitated through treatment or is otherwise not a good candidate for treatment, the person may be sentenced and the sentence executed. (c) Place the person under the supervision of a qualified mental health professional for not less than 1 year and not more than 3 years. If a person cannot pay for the cost of treatment or additional supervision required and is otherwise compliant with the requirements, the defendant will still get the benefit of the bargain. The charges will still be dismissed, but the court may issue a judgment in favor of the court or the qualified mental health professional for the costs of the treatment and supervision which remain unpaid at the conclusion of the treatment. Alternatively, the court may order the person to perform supervised community service in lieu of paying the remainder of the costs relating to the person’s treatment and supervision. If the person satisfactorily completes treatment, the conditions, and is certified that he has completed the program, the conviction must be set aside. If the mental health care professional does not certify the person has completed the treatment program, but the court believes the person will complete treatment voluntarily, the court has the option of either sentencing the person or setting aside the conviction. If the person does not satisfactorily complete treatment and satisfy the conditions, the court will sentence the person. If, during treatment, the mental health professional determines that the person is not likely to benefit from further treatment, the qualified mental health professional shall so advise the court. The court shall then arrange for the transfer of the person to a more suitable program or terminate the supervision and conduct a hearing to determine whether the person should be sentenced. Any time spent in residential confinement shall be applied toward the jail or prison sentence. If the person’s conviction is set aside, he or she may, at any time after the conviction is set aside, file a petition pursuant to NRS 179.255 for the sealing of all records relating to the setting aside of the conviction. If you or a loved one has a gambling problem and is facing criminal charges, call us to explore his or her options.